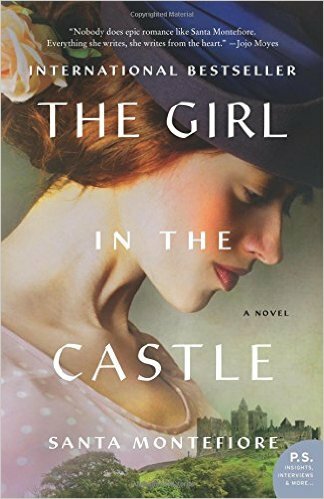 THE GIRL IN THE CASTLE has to be one of the best books I've read in a long time. It's the first book in a trilogy about two Irish families and the estate they inhabit. It's an intense family saga with a handful of fascinating characters who evolve and change as circumstances dictate. The book is not short on plot twists, and there is even a fabulous rags to riches thread that has left me hanging and waiting eagerly for the next book. The setting starts in Ireland in 1925 and moves forward at a steady pace. Lovely descriptions, incredible ever-developing characters, and an old beloved family castle lend an appeal that transcends each page and left me wanting more at the end. This the exact kind of book that I love. I am eagerly waiting for the next installment and I'm adding Santa Montefiore to my list of favorite authors! Loved, loved, loved this story!